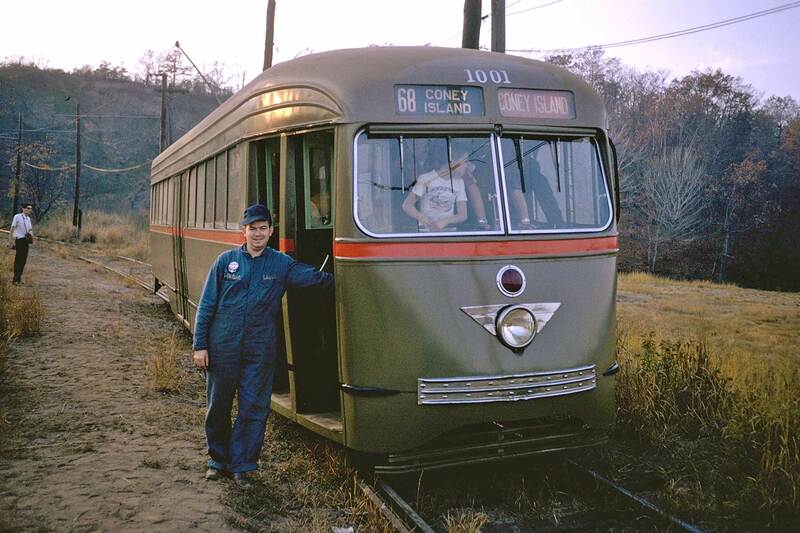 Arthur Lonto posing next to Brooklyn PCC 1001 at the Branford Trolley Museum shortly after the car was refurbished in the early 1960s. 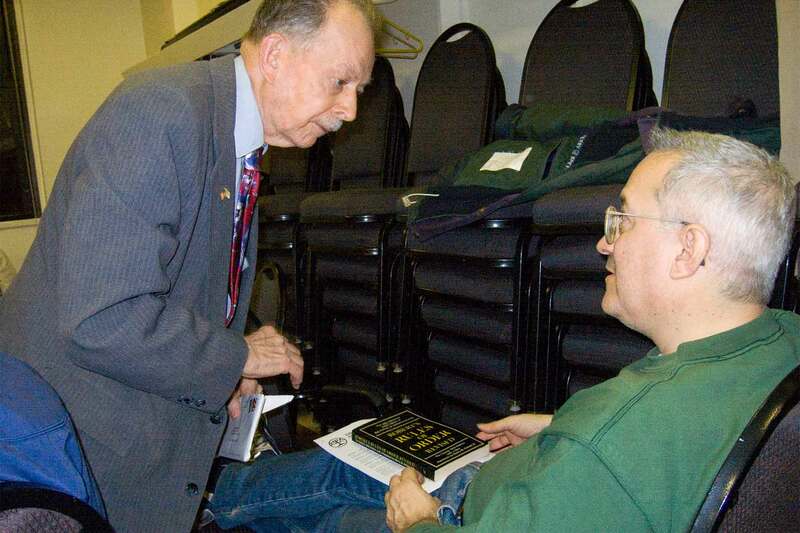 Arthur Lonto and Jimmy Mattina at the 2005 Annual Meeting. A memorial mass for the repose of the soul of Arthur J. Lonto will be celebrated on Friday, October 30, 2009 at 6:00 PM in the Lower Church of St. Francis of Assisi Church by Rev. Michael J. Carnivalli, OFM. All of us are saddened by the loss of our brother railfan who dedicated more than 60 years to the support of electric railroads by his active participation and leadership in the Electric Railroaders’ Association. Arthur was editor of both Headlights magazine and the NY Division Bulletin. He was seen at most of our monthly meetings and aboard many, many fantrips. When the Branford Electric Railway was founded in 1947, Arthur was one of the very first to join in their preservation efforts. He continued to volunteer to preserve both trolley and rapid transit cars for the remainder of hls life. We encourage you to come to St. Francis Church to celebrate Arthur’s life in our railfan community. It will be a fitting tribute to the many years of hard work he gave to the cause of electric railroading.